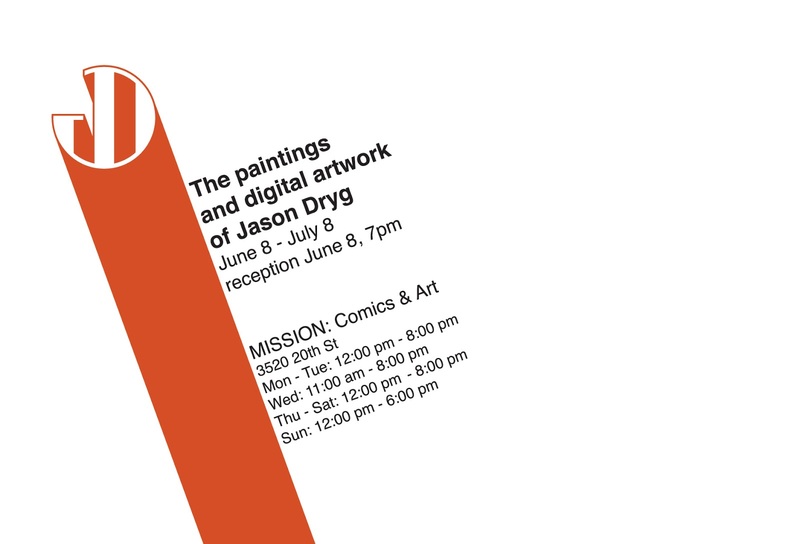 I am honored to be showing my work in the gallery at Mission: Comics & Art this June. It is my very first solo show and I can't think of a better place to have it. 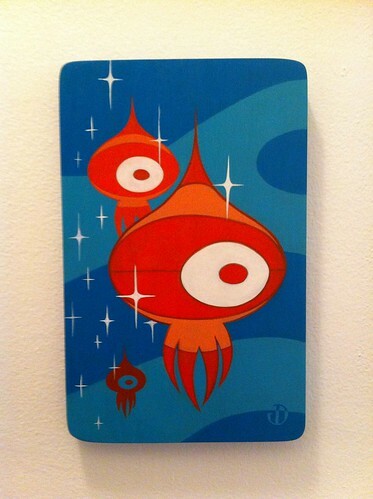 This show is a collection of paintings and digital pieces completed during the last couple of years. It will include past works from themed shows, some never shown in a public place, and some I just did because that's what you do when you are an artist. 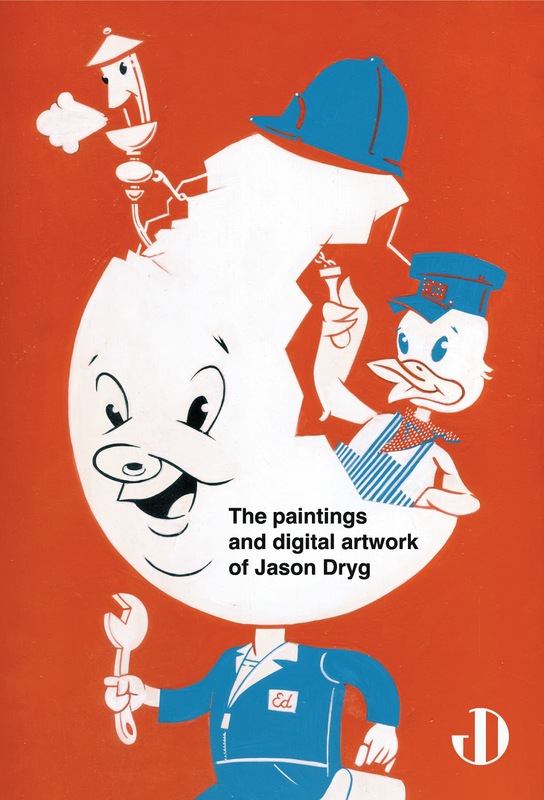 Prints of some of the work will be available at the show along with various other Jason Dryg original odds and ends. Below is the official flyer for the show. The receptions at Mission: Comics & Art are always a great party and it's in the heart of the Mission. Surrounded by some of the finest dining and most vivid nightlife in San Francisco, it promises to be a great night out. I hope you can come by. Special thanks goes to the gallery owner, Leef. His incredible generosity, commitment to community, and support of the arts is unrivaled.